Expanding Medicaid in Texas would weaken it, and weakening Medicaid would be a disservice to the Texans who now depend on it. As Texans, we take great pride in our state. We have a long history rich in tradition, innovation and compassion. Over the course of our state’s history, we’ve weathered natural disasters, tragedies, and some of the worst conditions of the Great Depression. At every turn, Texans have shown great character, lending a helping hand to their neighbors and caring for the neediest among us. Today, we must continue that spirit of compassion when it comes to the health-care needs of low-income children, the disabled and those who need assistance the most. But instead of expanding a system that is already failing them, as Obamacare would have us do, we must takes steps to strengthen our health-care safety-net programs in a way that offers the poorest Texans a higher level of quality health care and access to the physicians and medical care they need. Don’t just take my word for it. In a 2012 survey conducted by the Texas Medical Association, a large majority of Texas physicians agreed that Medicaid was “broken” and should not be used as “a mechanism to reduce the uninsured.” Indeed, there are much better ways to expand insurance coverage than simply pushing more Texans into an already dysfunctional and unaffordable program. Supporters of the Obamacare Medicaid expansion generally make three arguments: (1) It would provide Texas with “free money,” because the federal government would be picking up the tab. (2) It would reduce the financial strain on hospitals struggling with excessive emergency-room visits. (3) It would guarantee quality health coverage for many of the uninsured. None of these arguments stand up to close scrutiny. Take the issue of federal funding. It is true that, under Obamacare, Washington (i.e., U.S. taxpayers) would temporarily cover the full cost of insuring newly eligible Texas Medicaid patients. Thus, supporters of the expansion insist that Gov. Rick Perry is turning down free money. However, the promise of free money for the newly eligible Medicaid population won’t last forever: As of 2020, the federal government would be paying for only 90 percent of the expansion — and even that isn’t guaranteed, especially given our nation’s serious fiscal woes. I have no doubt that Washington will face increasing pressure to shift more of the burden onto the states. In short: The Obamacare Medicaid expansion would impose significant long-term costs on Texas taxpayers. You might be wondering why so many Medicaid patients would go to the ER for routine care when they have health insurance. The reason is simple: Medicaid offers poor-quality coverage. Because the program reimburses providers at such low rates, an ever-growing share of Medicaid beneficiaries cannot easily find doctors or dentists who will accept their insurance. (We’ve recently seen a number of lawsuits brought by providers and patients against their state Medicaid programs over low-reimbursement policies.) According to the 2012 TMA survey, more than two-thirds of Texas physicians are turning away at least some of the Medicaid patients who come to their offices, because they cannot afford to treat them. No question, we have to bring ER costs under control. But the answer is not to expand a program that has exacerbated the very problem we’re trying to fix. Rather than ask states to expand their existing Medicaid programs, the federal government should give each state much greater flexibility to design a program that is able to meet the needs of its residents. What works best in Texas may not work best in New York, and vice versa. States should receive a defined amount of Medicaid funds from Washington with very few strings attached so they can design innovative programs that provide quality care for their poorest and most vulnerable residents. Again: We all want to make health care more affordable and more accessible. In my view, the best way to achieve those goals is to empower patients, increase transparency, eliminate government pricing distortions and boost private competition — not to place more Texans in a program that is already broken. Weakening Medicaid would be a profound disservice to those Texans who depend on our safety net the most. 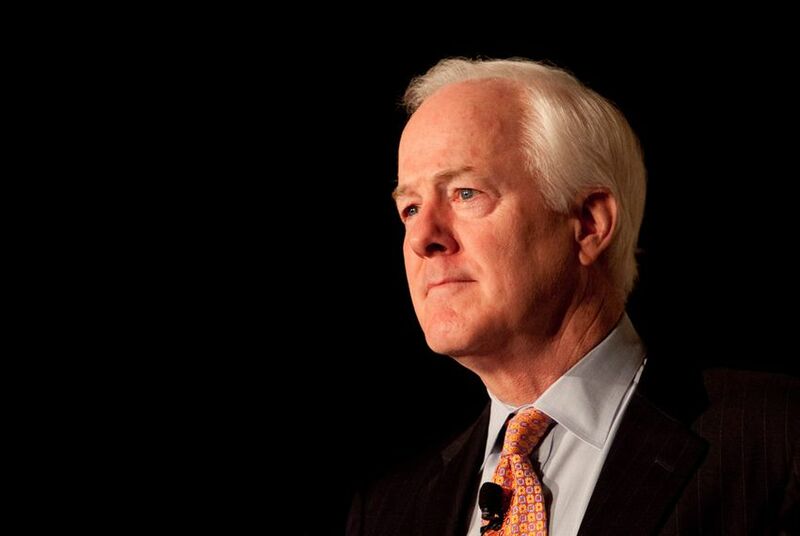 U.S. Sen. John Cornyn, the Republican whip, is a member of the Senate Finance Committee.